Did you know you can prevent tooth decay or ‘baby bottle decay’ with probiotic bacteria, breastfeeding, and the right nutrition. There’s probably no more tragic situation than tooth decay in baby teeth. The problem is that many parents don’t think they need to take their child to the dentist when he or she is a baby. Parents of children with baby teeth dental caries often think that their kids’ teeth may just be discolored. But the reality is that their tiny little teeth are soft and brown with cavities, or what dentists call, “dental caries.” Children I see with baby bottle decay often can’t stop crying because they have painful infections around their teeth. Baby bottle decay affects infants and toddlers under three years old. By the time the child is four or five years old, the decayed teeth often have to be removed at the hospital, under GA. Baby teeth bottle decay can make it hard for young kids to eat, sleep and drink because of tooth pain. It can cause problems with speech, growth of the mouth, and crooked teeth. It is heartbreaking because a child can suffer the effects of baby bottle decay for life. There are solutions to baby teeth bottle decay that can improve your kid’s dental health. This article will teach you the true causes of baby bottle decay, how to address it if your child already has tooth decay, and how to prevent tooth decay. Whether you want to prevent cavities in your infant or if your young child already has baby bottle decay, you want your child to have a healthier mouth. Also known as “baby bottle tooth decay” tooth decay in baby teeth is due to drinking sugary liquids from a baby bottle at nighttime. The result was many cavities in the mouths of some infants and toddlers. The blame was placed on the sugary liquids and constant exposure to the baby teeth. Lactose is a sweet milk sugar and when it spends a long time in contact with an infant’s teeth, it can encourage tooth decay. Lactose from milk falls into the category of “fermentable carbohydrates,” as well as glucose, sucrose, and fructose. Certain bacteria use these sugars to promote baby bottle decay. There’s a big problem with the term “baby bottle decay.” It’s misleading because tells us that childhood tooth decay is caused only by sugars in milk or juice. Here’s the confusing part; sugars from bottle feeding DO cause tooth decay in kids. But that’s an overly simplistic view of tooth decay. When a baby or toddler has tooth decay, most pediatric dentists will point to the problems of using baby bottles with sweet liquids, the cavity-causing bacteria Streptococcus mutans, and fluoride.1 However, baby bottle decay is an early sign that other health problems are brewing just below the surface. A child with cavities is missing the friendly bacteria and nutrients that prevent tooth decay. What does Baby Teeth Bottle Decay REALLY tell us about kids dental health? Baby bottle cavities are not just about bottle feeding habits. Bottle caries is actually a sign that your child is missing two key factors in oral health development. If your child has baby bottle tooth decay it tells you that they have a disturbed microbiome and they are not eating a diet that strengthens teeth. There are 10 times more bacteria in our bodies than there are human cells. Good bacteria protect and defend the body, help to make vitamins, digest food, and promote healthy metabolism. We depend on all of the bacteria and fungi, and even viruses, in our mouths to stay healthy and cavity-free. Called the “oral microbiota,” these “bugs” can help us, hurt us, or they can be harmless. Baby bottle tooth decay is a sign that the bacteria in your child’s mouth are out of balance and are damaging his or her teeth. Tooth decay happens when the protective, good bacteria are missing. Harmful bugs can take over and cause tooth cavities, often in the presence of sugary foods. Streptococcus mutans, or “Strep mutans” for short, is a bacteria that has a bad reputation for causing cavities. However, most pediatric dentists focus too much on Strep mutans. Streptococcus mutans can’t overgrow and create cavities if your child has good, healthy bacteria protecting his or her mouth. Strep mutans gets the blame for cavities. But it’s really the microbiome’s overall health that determines whether Strep mutans causes trouble or sits peacefully on the sidelines. Can breastmilk and breastfeeding cause or prevent tooth decay? The way that bacteria set up in our bodies begins with birth and breastfeeding. A vaginal birth introduces billions of bacteria to the baby’s nose, mouth, eyes, and skin. Secondly, a baby drinks healthy probiotics in breastmilk. Good bacteria first arrive in the mouth and later settle in the gastrointestinal tract where they will play a major role in health. Along the same lines, breastfeeding is an important part of building a healthy microbiome. Bottle caries is a sign that the protective microbiome is not present. If the baby does not get a good dose of a healthy mother’s bacteria, he or she may be more prone to cavities. To give your baby a healthy oral microbiome, I recommend breastfeeding for at least six months and longer, if possible. There are a handful of studies that suggest breastmilk can cause tooth decay in newborns. However, these studies are flawed because they measure the effects of lactose (not whole breastmilk). The majority of studies show that breast milk does NOT cause tooth decay. On the other hand, bottle feeding does not help with proper tongue and swallowing posture. It allows milk to pool in the baby’s mouth, that can cause cavities. Breastmilk is the best way to give your child a healthy oral microbiome. Breast milk delivers a dose of probiotic bacteria that protects against tooth decay. For all of these reasons, breastfeeding should be considered a mother’s best tool to raise a child with naturally healthy teeth. If your child has bottle caries, it is a sign that he or she doesn’t have enough of the vitamins that help prevent cavities naturally. Teeth are bones and are made primarily of minerals such as calcium. The fat-soluble vitamins, such as vitamins A, D, and K2, deliver these minerals that are needed to build strong teeth. Our teeth also use vitamins A, D, and K2 to turn on the immune system that protects and fights against too many bad bacteria in the mouth. Vitamin D, or the sunshine vitamin, is one of the most important vitamins for healthy bone development. Most people do not have enough vitamin D. This is why I recommend testing vitamin D levels if there are any signs of tooth cavities. If your young child has tooth decay, it is a sign that he or she is not getting enough vitamins, especially vitamin D.
The vitamin status of the mother matters! A breastfeeding baby depends on her mother to give her vitamin D through the breastmilk. If the mother isn’t eating a healthy vitamin D diet and getting sunshine, then the baby will miss out on vitamins that also help strengthen teeth. So overall, drinking sugary fluids in a bottle (such as milk or fruit juice) CAN contribute to kids tooth decay, BUT only because other problems were brewing below the surface. 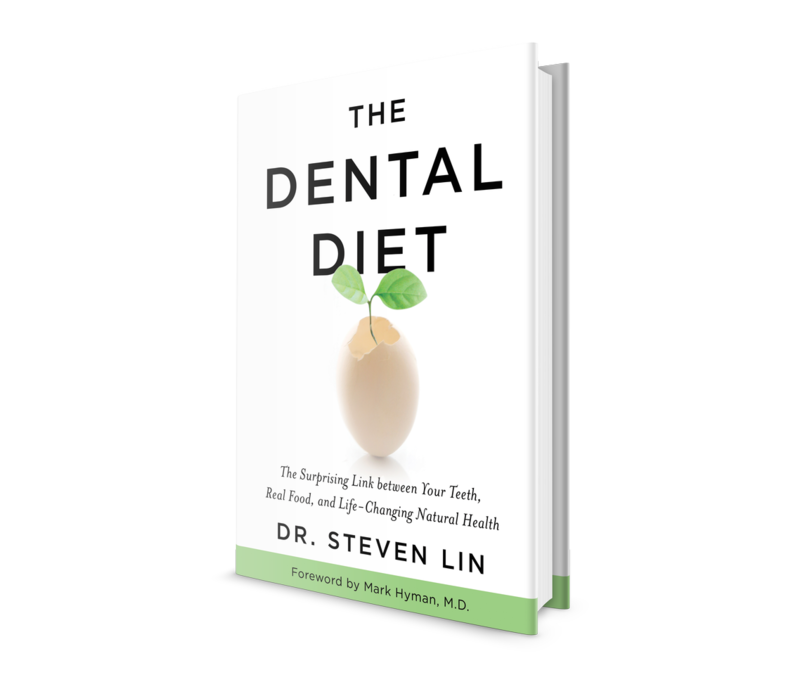 Tooth decay is a sign of an imbalanced microbiome and a poor diet. The way to prevent baby bottle decay is a whole parenting feeding approach that includes breastfeeding and takes the mother’s health and nutrition into account. The American Academy of Pediatric Dentistry recommends. However, I also urge my patients to address the root causes of baby bottle decay. Breastfeed your baby to promote a healthy oral and gut microbiota for at least six months and continue breastfeeding on demand, as you see fit. Do not put your child to sleep with a bottle of milk or juice. Teach your baby to use cups instead of bottles after 12 months of age. I recommend going from breastfeeding to the use of cups as the best strategy to fight childhood tooth cavities. Have your child assessed for tongue-tie or oral restriction. Have your child use cups from 1-year old, not bottles. Follow the dental diet for your kid’s oral health. Give your child a daily oral probiotic containing Lactobacillus and Bifidobacteria species daily and/or probiotic-rich foods such as cultured cheese, butter or sauerkraut. Give your child cod liver oil each day to raise levels of fat-soluble vitamins A and D and omega 3 fatty acids. Give your child emu oil or another rich source of vitamin K2. Test your vitamin D levels if you are breastfeeding. If you have low vitamin D levels, take cod liver oil and emu oil daily. Always consult your physician. If you are prone to dental disease, infections, digestive symptoms, or ear, nose, and throat symptoms, you probably have an imbalanced microbiota. Work with an integrative and functional medicine practitioner before your next pregnancy to rebuild a healthy microbiome, which you can pass on to your next child. Healthy kids teeth mean healthy kids! It can be heartbreaking to see your young child struggling with tooth pain or cavities. If your little one is getting cavities it can even harm their future financial and social life! Baby bottle decay can interfere with normal feeding, sleeping, and drinking because of tooth pain. But more importantly, it is a clue that all is not well with your child’s overall health. Your pediatric dentist may suggest that baby bottle feeding, Streptococcus mutans, and too little fluoride are the causes of your kid’s dental health problems. While baby bottle feeding can contribute to tooth cavities, it isn’t the only problem. The true causes of early childhood cavities are an imbalanced microbiome and a diet lacking in the nutrients that protect and defend teeth. A healthy oral microbiome is put into place through breastfeeding. This is how babies get good bacteria that protect them from disease and combat bad bacteria. Babies also get important nutrients from breastmilk. Vitamins A, D, and K2 help build strong teeth and boost the immune system in the mouth to fight cavities. 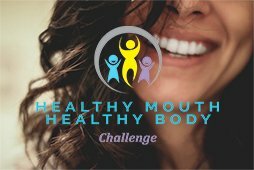 A healthy mouth is a sign of a healthy body. Use nutrition, probiotics, breastfeeding, and smart feeding practices to prevent tooth cavities in your infants and toddlers and set them up for all-around better health later in life. Colak H, Dulgergil CT, Dalli M, Hamidi MM. 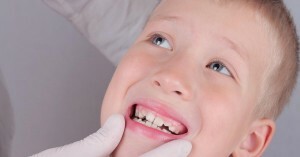 Early childhood caries update: A review of causes, diagnoses, and treatments. Journal of natural science, biology, and medicine. 2013;4(1):29-38. Rondanelli M, Opizzi A, Perna S, Faliva MA. 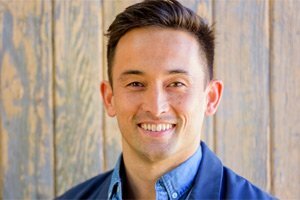 Update on nutrients involved in maintaining healthy bone. Endocrinologia y nutricion : organo de la Sociedad Espanola de Endocrinologia y Nutricion. 2013;60(4):197-210. Mahdavi-Roshan M, Ebrahimi M, Ebrahimi A. Copper, magnesium, zinc and calcium status in osteopenic and osteoporotic post-menopausal women. Clinical cases in mineral and bone metabolism : the official journal of the Italian Society of Osteoporosis, Mineral Metabolism, and Skeletal Diseases. 2015;12(1):18-21. Dawodu A, Tsang RC. Maternal vitamin D status: effect on milk vitamin D content and vitamin D status of breastfeeding infants. Adv Nutr. 2012;3(3):353-361. I’m so confused about my daughter’s dental health right now. She is 2 and has brown bands of decay on her four upper front teeth, as well as small brown spots on most of her other teeth, since the time she was about 1. She now has a big brown spot forming on the back of her top front tooth. She had a normal, healthy delivery and was exclusively breastfed until we introduced solids at 6 months. She still breastfeeds. We eat a very, very healthy, Paleo-inspired diet (with some white rice and legumes) and she had absolutely no sugar or juice before she turned one. Her sugar intake is super limited (her favourite “treat” is her chewable probiotic) and she eats little to no processed food. I took her to a dentist who said she has “genetically weak enamel” and advised us to brush with fluoridated toothpaste. We have been doing so, as well as flossing, religiously twice a day. I did more research and consulted with another dentist about an upper lip tie, which we had lasered, and that dentist gave us a tooth remineralizing paste, which we use once per day. I supplement her with Vitamin K2 and vitamin D, and myself with fermented cod liver oil for Vitamin A (she won’t take it but gets it through my breastmilk). She still breastfeeds at night and I am thinking that this is probably to blame but then I read that breastfeeding is protective of teeth due to the good bacteria – I’m not sure where to turn about this. Even with all of these measures, the brown bands continue to get worse and the dark spot on the back of her tooth is getting deeper, I’m taking her back to the dentist this week. If you have any thoughts or opinions, or questions I should ask her dentist, please let me know! I am really desperate and stressed out about this, I think about it all the time and just wish my beautiful little girl could have a beautiful smile!!! Why is nothing helping if it seems like we are doing everything right? Very sorry to hear. First of all, don’t be hard on yourself, your child is going to grow up healthy and happy with your care! Dental diseases are using bodily resources that are being prepared back even into pre-pregnancy. Have you had both your own Vitamin D and her vitamin levels checked? That would be the first port of call. Also, if there are any signs of reflux or other signs of digestive unrest. If there was an upper lip tie, it can cause pooling of breastmilk and a band area of decay. Upper lip ties are often seen with tongue-ties, so I would suggest having that checked because there may be an immature swallow which will prevent the oral clearance of milk. Also looking at how she breaths when she sleeps. Do you think there is no need to take care of your child’s baby teeth as they will eventually fall off? On the contrary, neglecting your little one’s baby teeth can lead to certain dental problems.